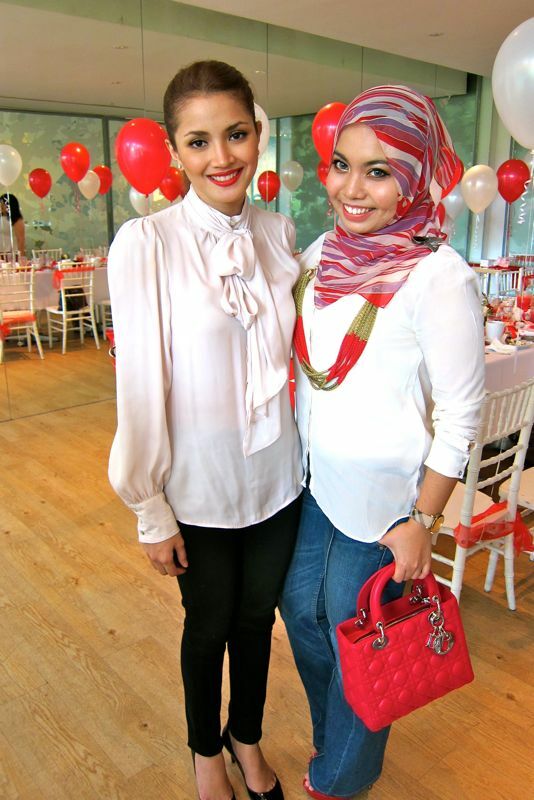 Shazwani Hamid's Blog: The White and Red Party with Fazura! 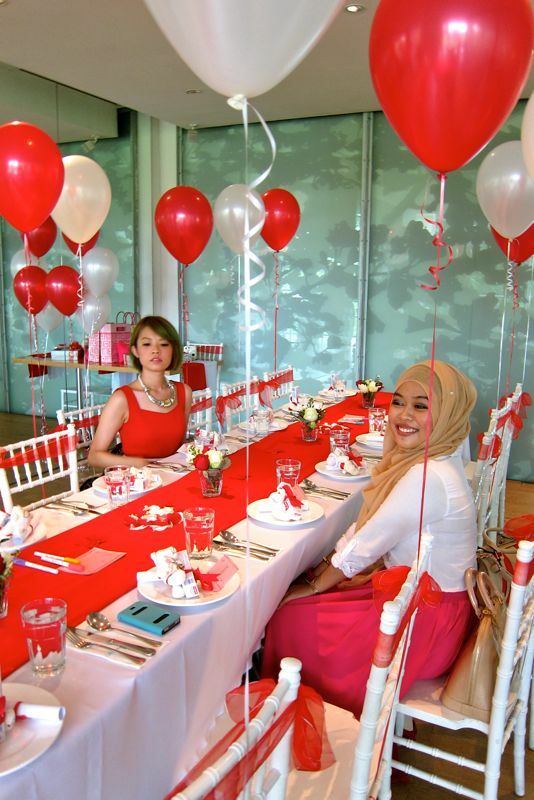 So a couple of weeks ago, I was invited by the Colgate Optic White team to attend a little party with our beautiful celebrity, Miss Fazura which was held in Delicious restaurant at Dua Residency Kuala Lumpur. 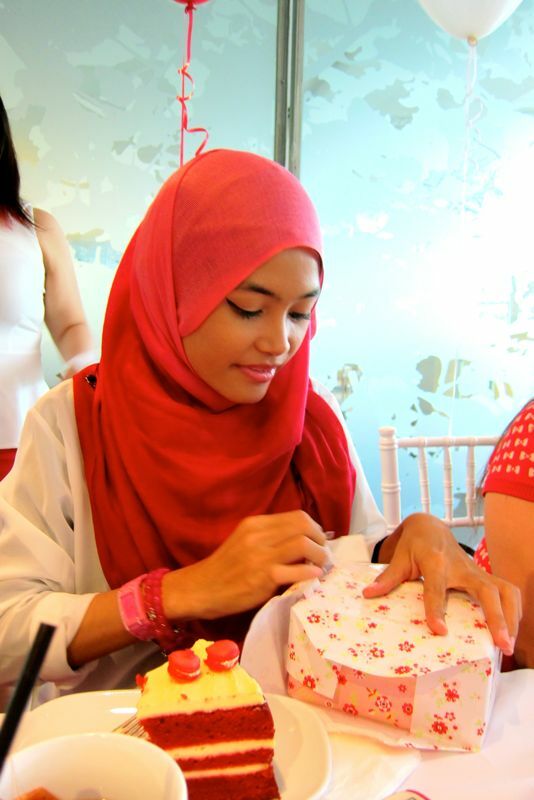 5 lucky bloggers were selected to attend the party, and yours truly happen to be one of them! 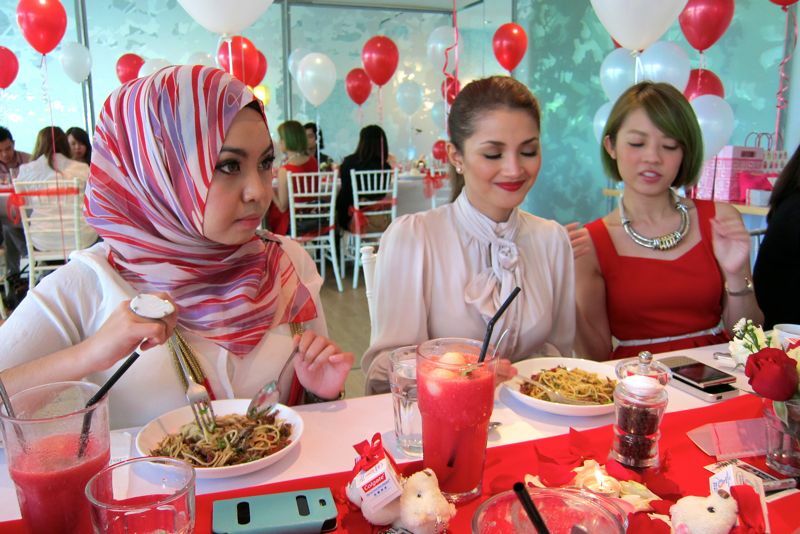 Oh, I feel so lucky to get to mingle with Fazura and the ladies! 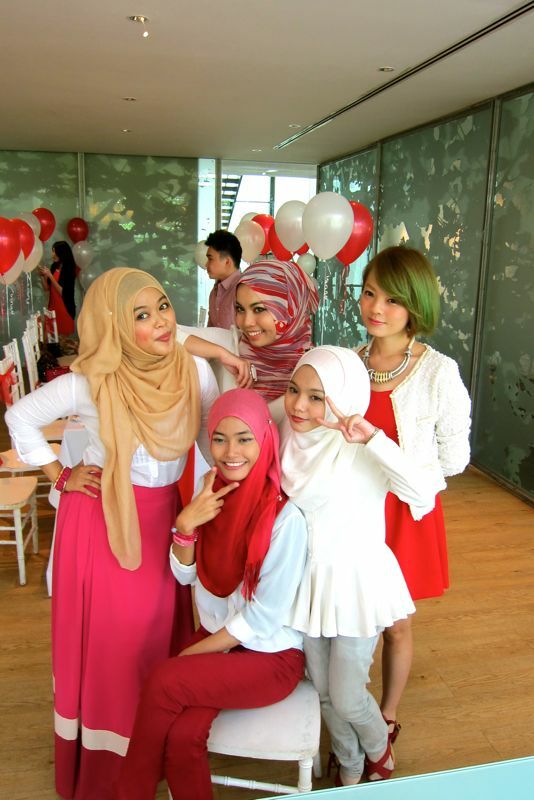 The other four bloggers are Shea Rasol, Bobo Stephanie, Nisa Kay and Yuyu Zulaikha. The theme was White and Red, just like the Colgate Optic White brand color! It was so nice and fun seeing all the pretty set up made by the Colgate team! She said to us, “Always being in front of the camera and in the public eye, my smile is one of the first things that people notice about me. This is why I take extra care to have not just a smile, but a bright white smile that completes any look or outfit I have. 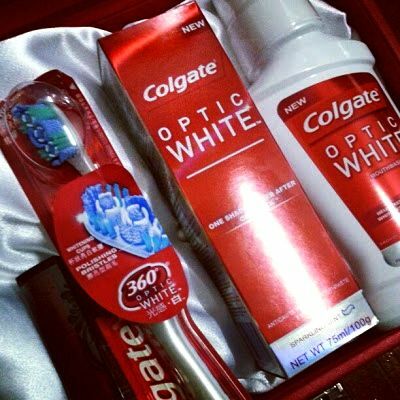 Colgate Optic White is now part of my beauty kit. It is the only beauty essential I need to keep my smile bright and white. I have been using it and it really works! A beautiful, white smile speaks so much about personality, confidence, even how you value something as basic as caring for your teeth. Even if you have a stylish outfit or flawless make-up, having discoloured teeth is impossible to disguise and can take away the effort you put into looking beautiful” - and I totally agree with every word she said! I really think that having perfect looking teeth and smile is the best make up any girl should have! That BRIGHT, WHITE SMILES are the ultimate, timeless accessory to any outfit and look! 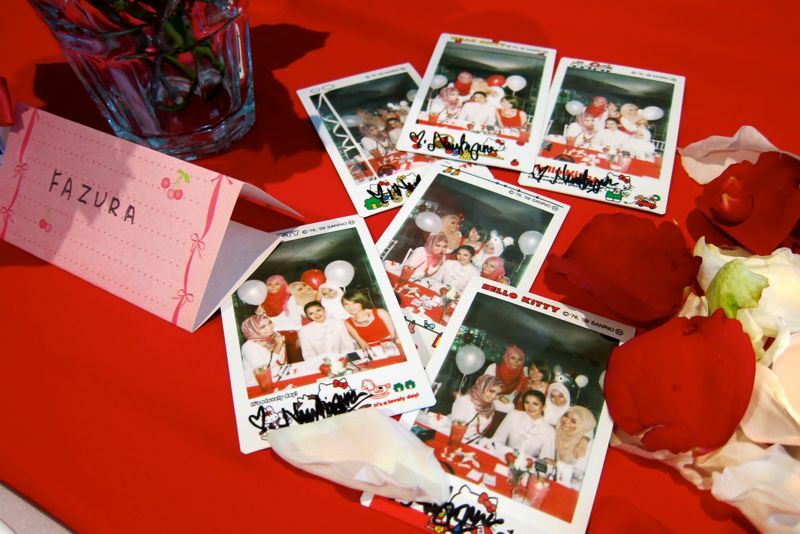 We got a polaroid picture of us as well! With Fazura signature on it! While waiting for our food to arrive, we talked to Fazura and asked her with a lot of questions some more! haha. Kesian dia. Banyak tanya betul her fans ni lah! hehe. We asked her about her daily life routine, her beauty rituals, her diet and exercise plan, her careers, and lots more! I learned quite a few tips from her that day! We shared a lot of things and stories too. It was so much fun, really! With her bubbly and fun character, made the party even more awesome! 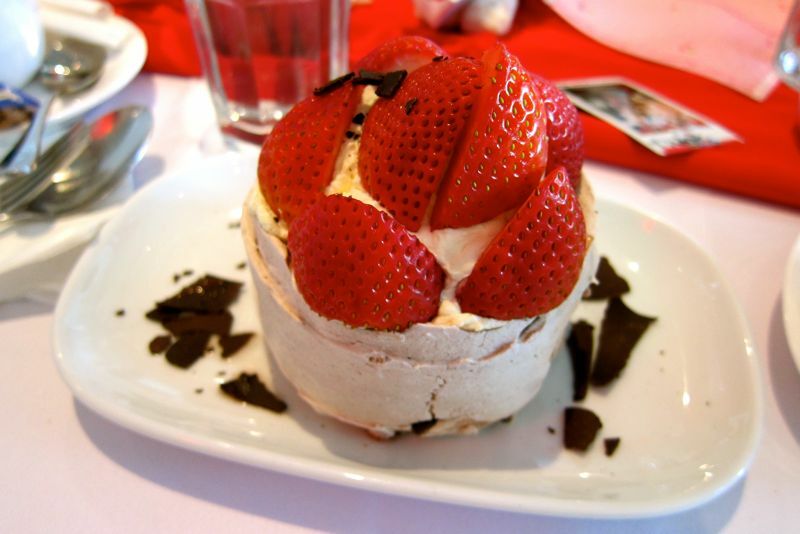 ..and a pavlova as for the dessert! 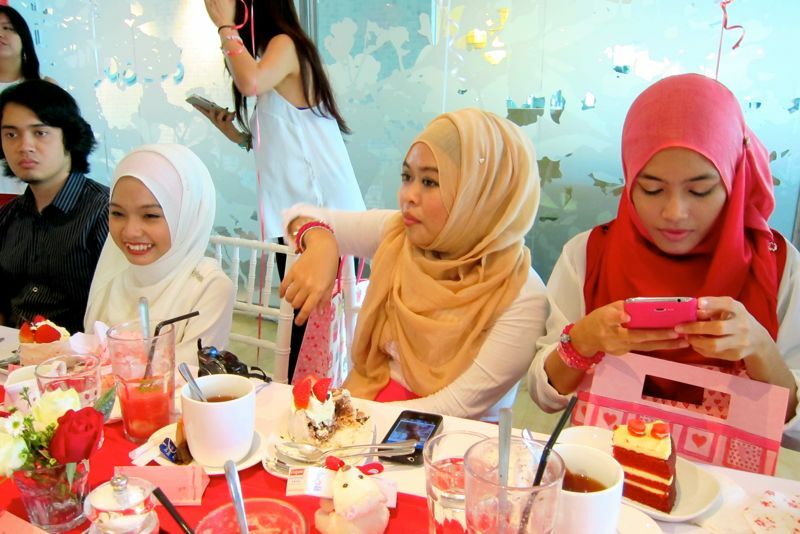 Anyway, while having our tea and desserts, we played a fun game with Fazura! And yeay! She got it right! So that's her present in the big red box! I wonder what's inside! And next it was me! My question was about fashion. "Describe your fave fashion at the moment. And why" - I had too many fashion that I like, that made me unsure which one to answer! LOL. But I went for animal prints..
And guess what I got for answering that question??! 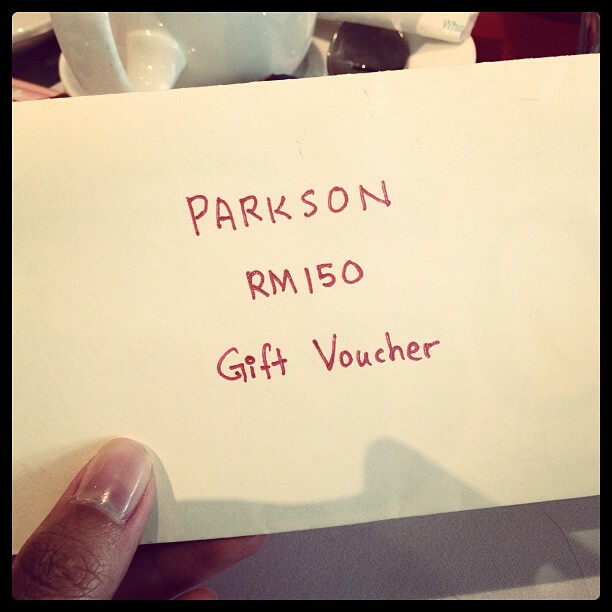 It's a RM 150 Parkson voucher!!! How awesome! I forgot what was her present though..
She got a question about make up, and she won some make up stuff! 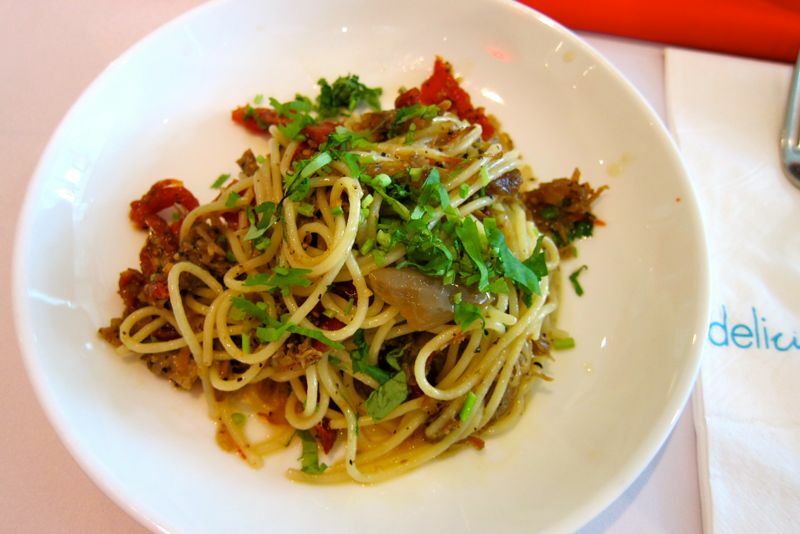 Cool, kan?! What I like the most about this Colgate Optic White toothpaste is the minty taste and the fresh feeling I get after I use it! Anyway, this toothpaste has the Whitening Accelerators (the silica and pyrophosphate), to gently scrub and polish your teeth surface. It's really refreshing to use and it's not just for whitening because it also helps fight cavities, protect teeth enamel, remove plaque and freshen breath! 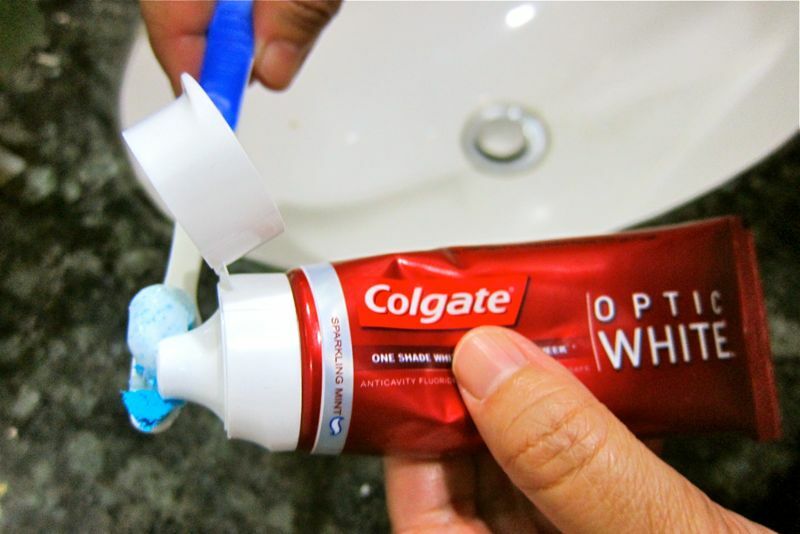 So with this Colgate Optic White toothpaste, you can get one shade whiter teeth after just one week! (when used as directed, for extrinsic stains only). Now you can get that perfect bright white smile you've always wanted! Colgate Optic White is now available in leading retailers and pharmacies nationwide, at the recommended retail selling price of RM 5.90 for the 40gm toothpaste, and 100gm toothpaste for RM 12.90, and RM 12.90 for toothbrush, and RM 8.90 for the 250ml and RM 20.90 for 750ml mouthwash. 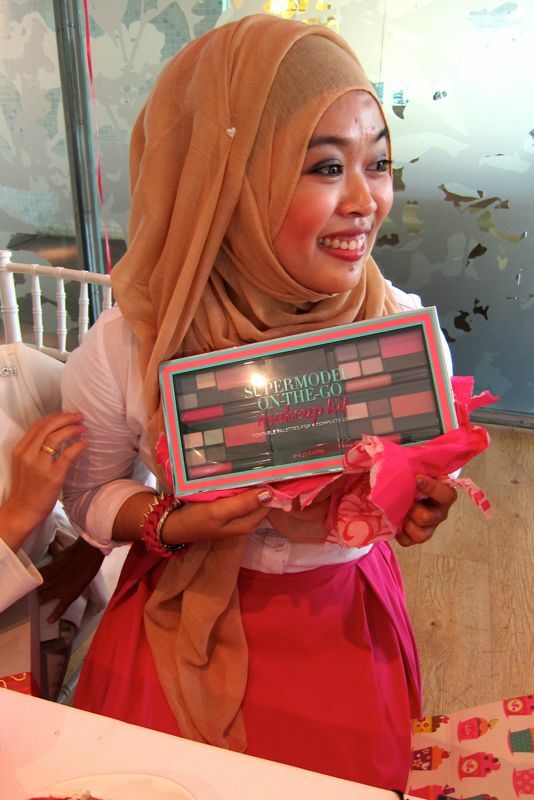 Go get it now girls, and let us all have a bright, polished and white smile as our new beauty essential! Optic White is the new beauty must-have. It’s the only product you’ll need to keep your smile bright and white. 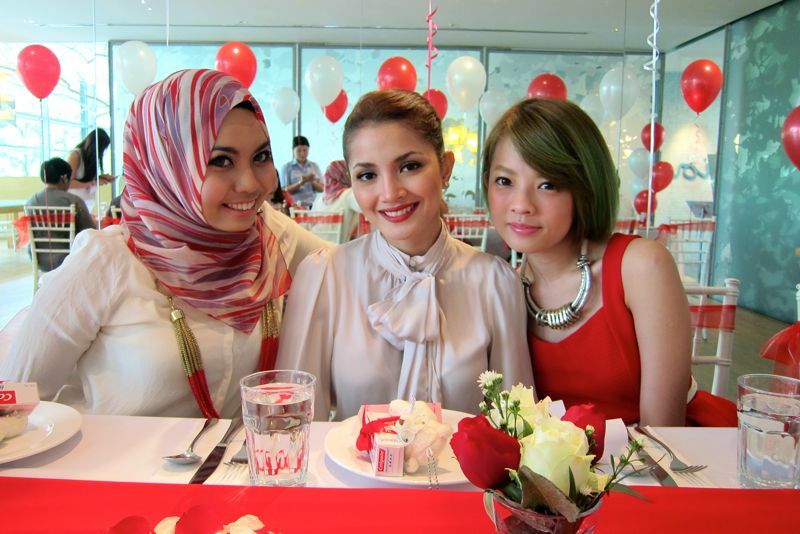 Lastly, thank you Colgate Optic White for this opportunity and party with Fazura! I sure had so much funnnnn! And I know the rest of the girls did too! Thank youuuu so much!!! Best nye!! Fazura sgt cantik..flawless! waa.. bertuahnya badann.. duduk sebelah fazura lg..